Love or hate the method, Audi, Porsche, and Lamborghini are set to dominate the future. It’s been said that any group is only as strong as its weakest link, but when that group is made up of Audi, Lamborghini, and Porsche—responsible for the R8 V10 Plus, Huracan Performante, and GT2 RS respectively—then weaknesses become fairly trivial. The trio makes up a dream team in the auto industry, like when LeBron James, Dwayne Wayde, and Chris Bosh were in Miami Heat, and Automotive News Europe now claims that the three are thinking up a new play to crush the competition and split the MVP ring amongst themselves. 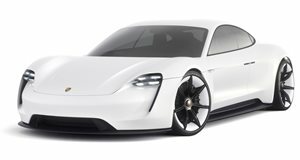 The game-changer will come in the form of an all-electric platform from Porsche called SPE that would be shared with the other Volkswagen Group elites. Unlike other modular platforms from the group, SPE will be reserved exclusively for high performance models including an electric supercar. AN Europe notes that the first mention of the platform was in a footnote of the capital marks presentation made by Volkswagen this past November. Unfortunately our curiosity will not be satisfied anytime soon because it’s unlikely that SPE will make an appearance before 2025. Because the future is clouded by the fog of uncertainty, there’s no way of knowing what cars it’ll underpin. One Volkswagen executive did mention that the platform is intended "for two-door sports cars and supercars,” meaning it could make an appearance in the R8 e-tron revival and later serve as the factor that pushes Lamborghini into the electric car game with a production incarnation of the Terzo Millennio Concept. Along with the platform, VW executives wouldn’t comment on whether SPE-derived cars would utilize solid-state batteries or conventional units. Out of all the automakers in the Volkswagen Group, Porsche may be best positioned for electric car development given that the take rate for its plug-in vehicles, such as the Panamera E-Hybrid, is relatively high compared to the rest of the group.